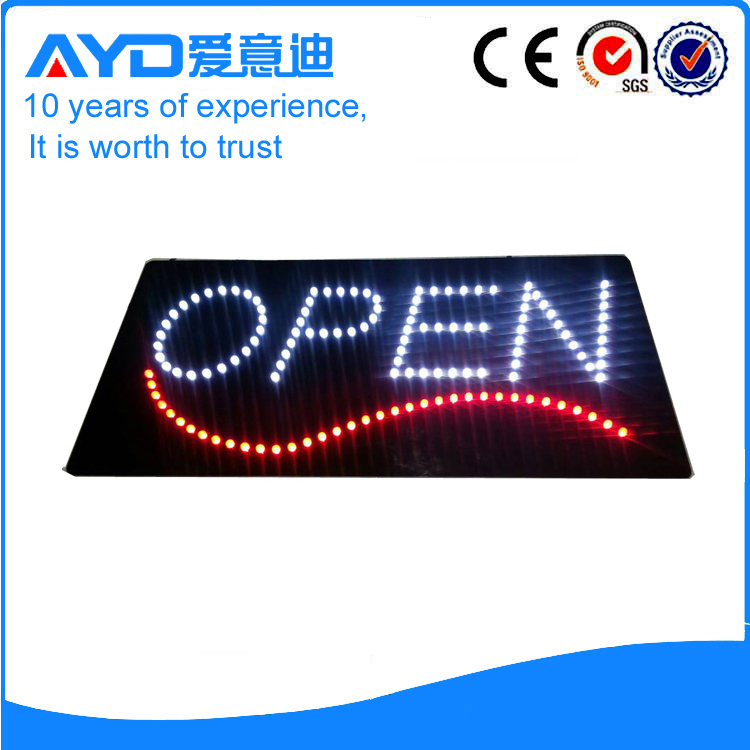 AYD LED OPEN SIGNS are made of durable acrylic, not like cheaper quality led signs that are made with cardboard backing. Our handmade LED OPEN SIGNS use high efficiency diodes that can be seen up to a distance of 150ft, will reduce energy consumption (up to 80%) when compared to neon and are rated to last 50,000 hours; enough to last 10 years. W x H x D...............: 6" x 12" x 1"
The open sign has 2 light modes include light chase and static; High visuality red. 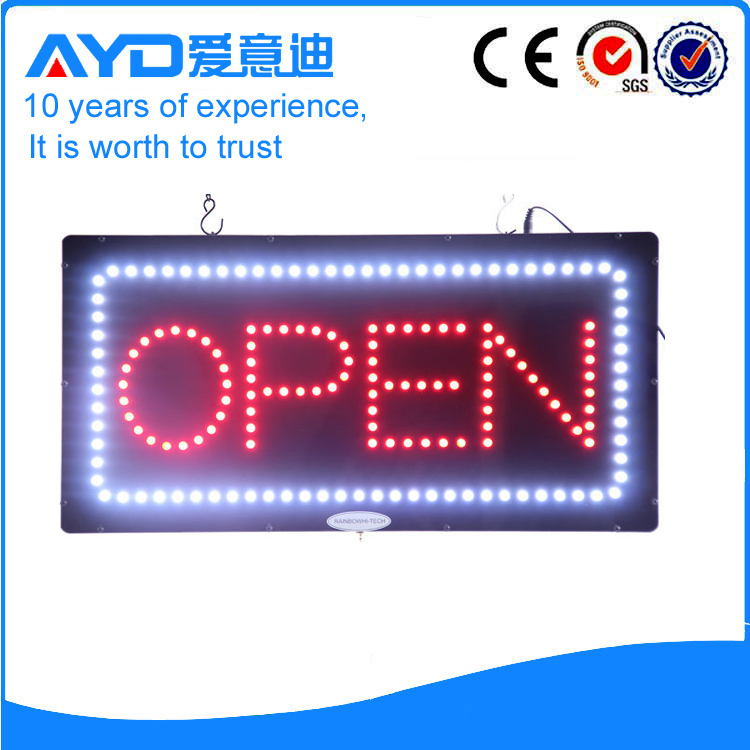 The led open sign on for 24/7, working hard for you. 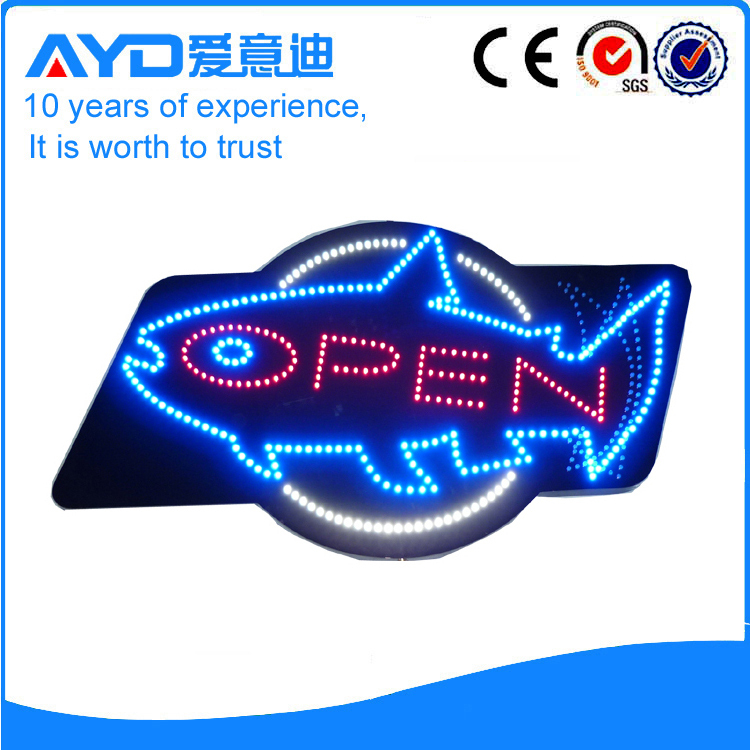 Need sales booster, must have this led open sign! 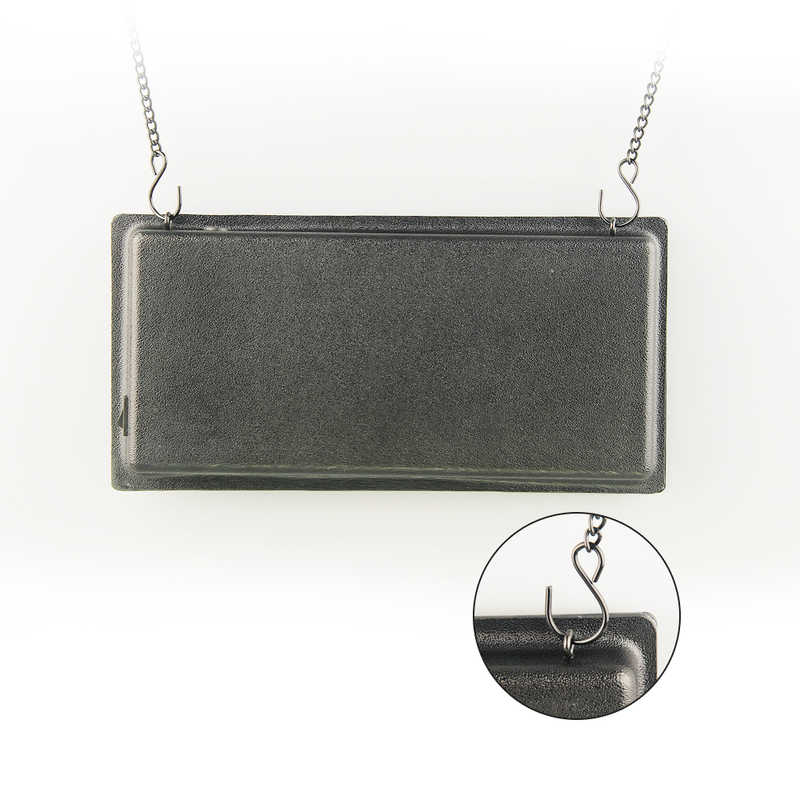 --> The enough length metal chain with hook included. 1x Hanging Chain with hooks. 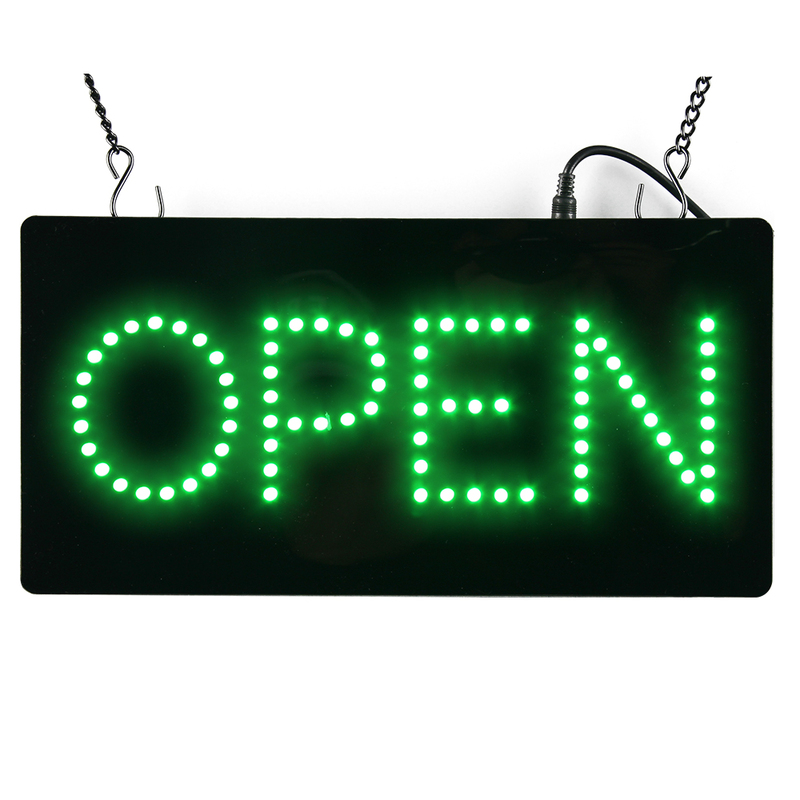 Any questions about led open signs please feel free to contact us.Your message will be replied within 24 hours!! 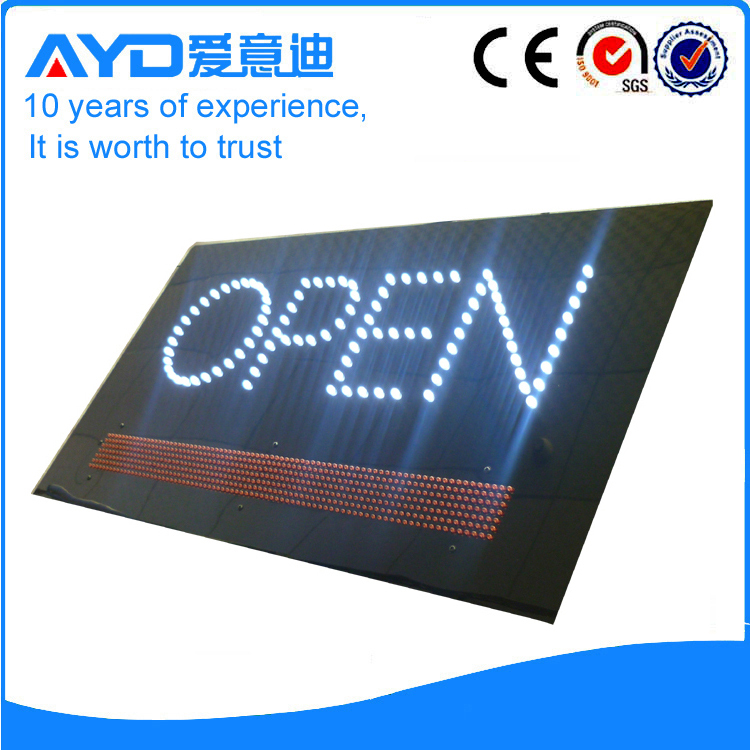 AYD LED OPEN SIGNS,is a pioneer in LED Signs field and LED OPEN SIGNS field. 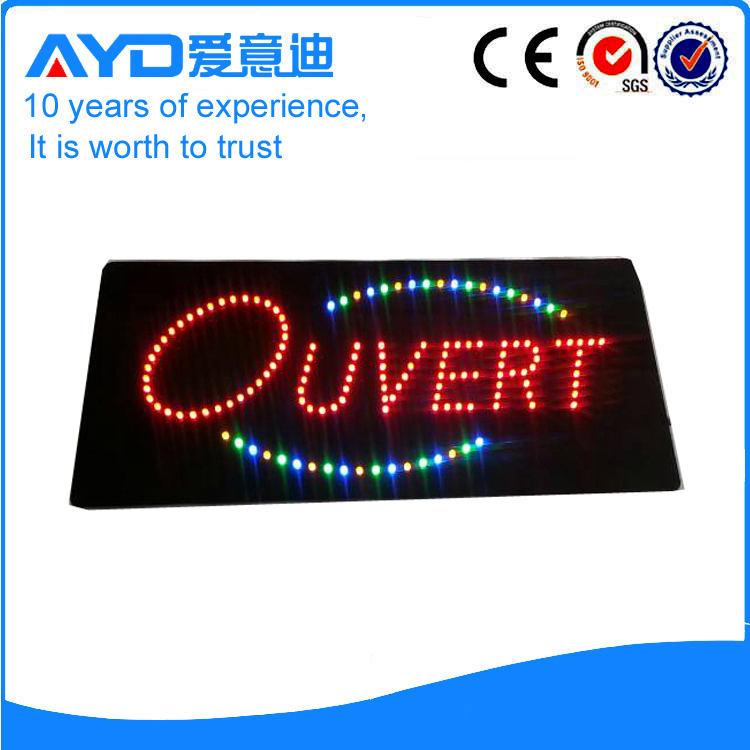 We are specialized in designing, researching, manufacturing and selling all kinds of LED signs and LED OPEN SIGNS. 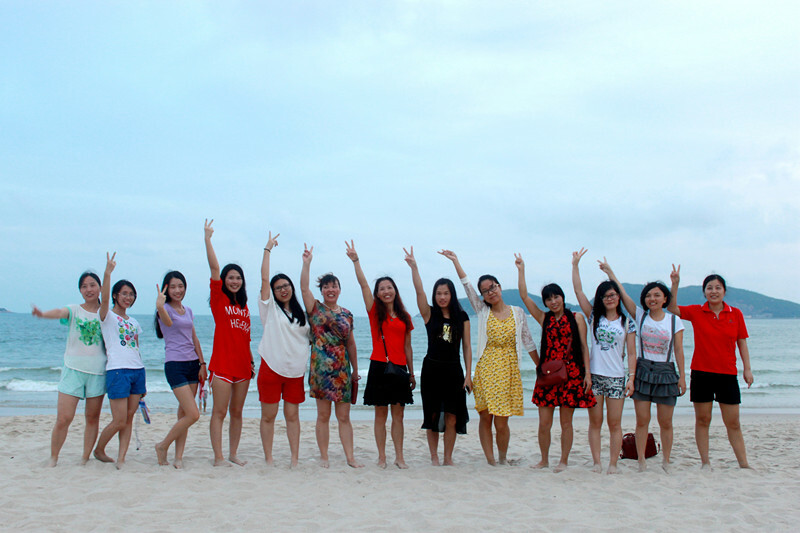 We are an LED company you can count on because of good quality and competitive pricing, OEM & ODM orders are welcome. 1.What are the lead times for LED OPEN signs? Upon payment, we will eventually process your order. However a lead time of 16 days is required. 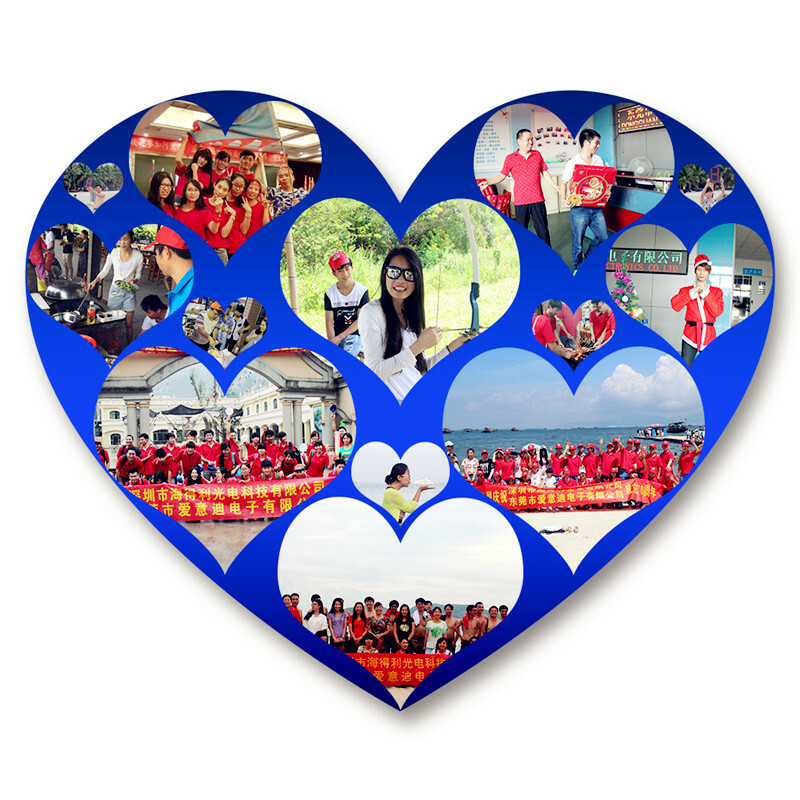 Because haste makes waste, we give our team enough time to bring about personalized digital display for you. 2.What do the displays come with? Our open signs come with everything you need to operate such as a controller, adapter. 3.What is the warranty policy should the displays arrive damaged? We are pleased to offer our convenient warranty policy. 4.What color do these displays for gas station come in? The signs are usually available in colors of Red, Green, Yellow and White. 5.What sizes do these signs come in? The size of the sign is determined by the letter’s height. The standard size:24*48cm,30*60cm,38*68cm,33*81cm,40*40cm,40*60cm. 6.How long do the signs last? Our signs can last an average of 6 years. 7.Can you keep them on all day & night? And if so, will it affect the longevity? Yes, you can keep them on 24/7 without affecting the longevity. 8.Can I get a different combination of displays than what appears on the website? Yes, please fill out our custom request form for a custom quote if you need different sizes or combinations of colors. 9.How do you pack the signs? We pack with utmost care to prevent breakage during shipping. Please refer to how we pack for more details. 12.Can you provide the solution of accessory? 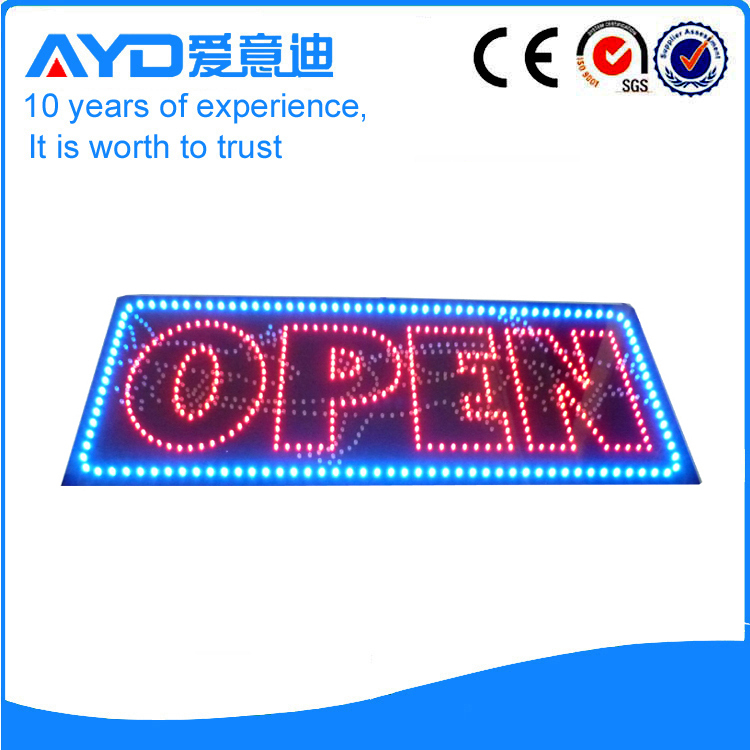 Yes,we can.We are professional in LED OPEN SIGNS. 13.Can you provide finished product solution for exhibition or bid? Yes,we can,please refer the website,but the the lead time is longer. 14.Can you provide the signs as the size of customing? Yes,we can. If you want custom led chinese food sign, please contact us.